Robert Pattinson Looks Victorian-Era Hot On The Set of His New Film. 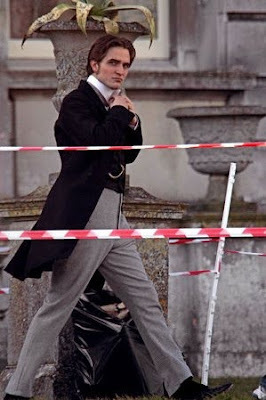 Twlight and RPatz fans alike, feast your eyes on these photos of our favorite vampire Robert Pattinson on the set of his new film 'Bel Ami' in Herfordshire, England. He looks "rather becoming" in his victorian era costume, don't you agree? 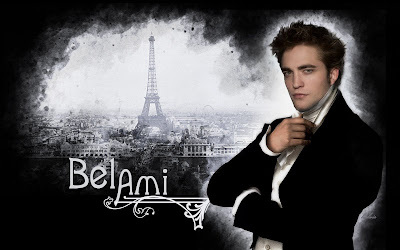 "Bel Ami" is a morality tale centered on Georges Duroy, a man who rises to the top by manipulating a series of powerful and wealthy mistresses. Uberto Pasolini will serve as the producer, while Declan Donnellan takes on the role of its director. oh wow he looks amazing in this costume!